How come there is no evidence issued out by the Vatican that proves their list of Popes that have carried on from Apostle Peter? I can't just trust the Vatican by their 'words'. I don't KNOW if they really did come from the line of Peter or not. I can only go by their word. This is not good enough for me. What if they made these people up? So far we can prove St Linus and St Clement existed since they were mentioned by Apostle Paul in the NT but whether they went onto being Arcbishops; we don't know for sure. First of all, the Catholic Church admits that both Rome and Antioch(Orthodox) have a line of succession starting with St. Peter. Second of all, the Orthodox Church, which is not in union with the Catholic Church, also admits that both Antioch and Rome have St. Peter as their first Bishop. 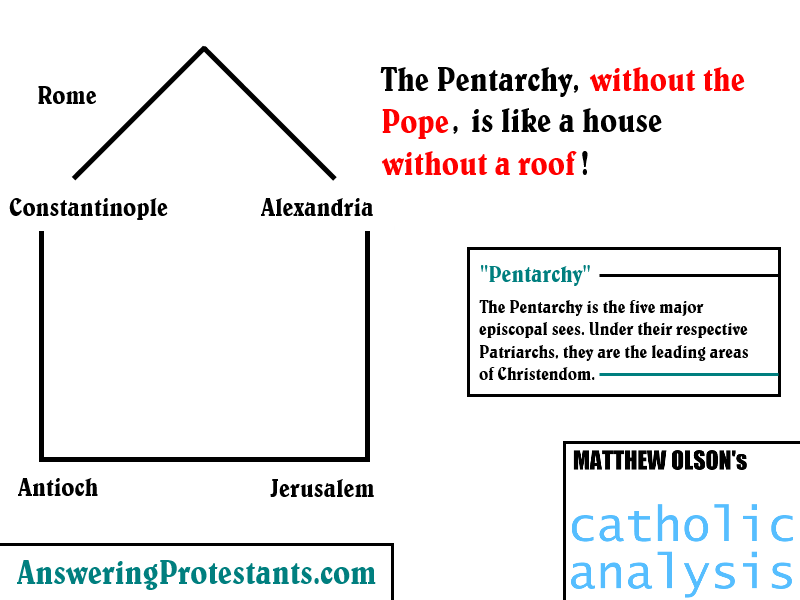 Third of all, the Orthodox Church has always recognized that technically speaking Rome is superior to all of their churches in view of the Pentarchy. The only reason they go off the rails so to say is that, in a spirit of contradiction, they excommunicated the primate when he disagreed with them. Wikipedia relates to us that : Pentarchy (from the Greek Πενταρχία, pentarchía, from πέντε pénte, "five", and ἄρχειν archein, "to rule") is a model of Church organization historically championed in the Eastern Orthodox Church. It found its fullest expression in the laws of Emperor Justinian I of the Byzantine Empire. In the model, the Christian church is governed by the heads (patriarchs) of the five major episcopal sees of the Roman Empire: Rome, Constantinople, Alexandria, Antioch, and Jerusalem. The greater authority of these sees in relation to others was tied to their political and ecclesiastical prominence; all were located in important cities and regions of the Roman Empire and were important centers of the Christian Church. Rome, Alexandria and Antioch were prominent from the time of early Christianity, while Constantinople came to the fore upon becoming the imperial residence in the 4th century. Thereafter it was consistently ranked just after Rome. The Eastern Orthodox Church also uses the term "first among equals" in regard to the Bishop of Rome during the first thousand years of Christianity. Whereas the Patriarch of Constantinople is now considered first among the Orthodox patriarchs, the Orthodox Church considers the Bishop of Rome (regarded as the "Patriarch of the West") the "first among equals" in the Pentarchy of the Patriarchal Sees according to the ancient, first millennial order (or "taxis" in Greek) of Rome, Constantinople, Alexandria, Antioch, and Jerusalem, established after Constantinople became the eastern capital of the Roman/Byzantine Empire. The Bishop of Rome no longer holds this distinction in the Orthodox Church because, following the East–West Schism, he is no longer in communion with the Orthodox Church. Lastly, the list of Roman Bishops can be found easily but if you want to verify the validity of every individual instance of succession you'll obviously need to consult more precise ressources, like the Catholic Encyclopedia for all the instances of succession. Not the answer you're looking for? 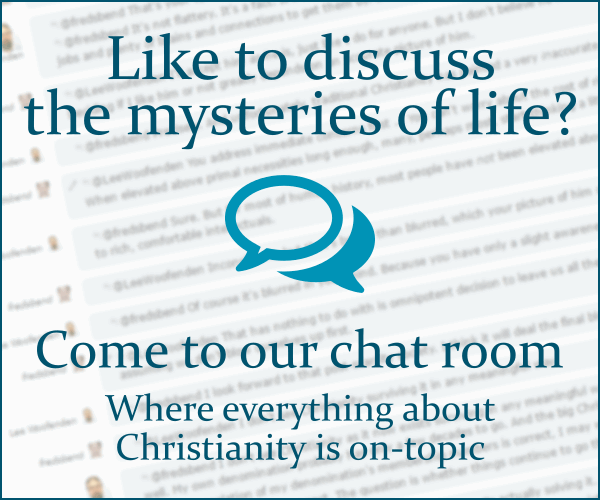 Browse other questions tagged catholicism papacy apostolic-succession eastern-catholicism or ask your own question. What is the argument for papal succession? What is the Catholic Church's attitude to the use of Viagra in marriage? What does the Catholic Church mean when it says In-vitro Fertilization separates the procreative act from procreation?